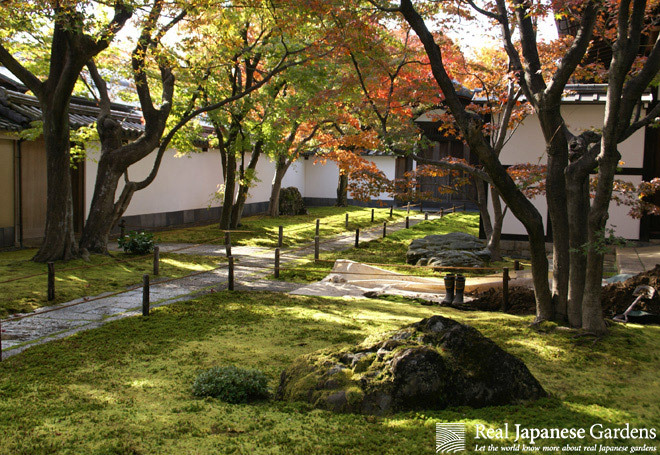 Moss is one of the signature plants of Japanese gardens. Given the right conditions, it can cover large areas in a garden, it grows on stone lanterns, trees, garden stones. The Japanese climate fits perfectly to the plant's needs: Japan is surrounded by the sea, which provides a general humid climate in spring, summer and autumn. Between mid-June and early July, the rainy season drenches the naturally acidic soil. 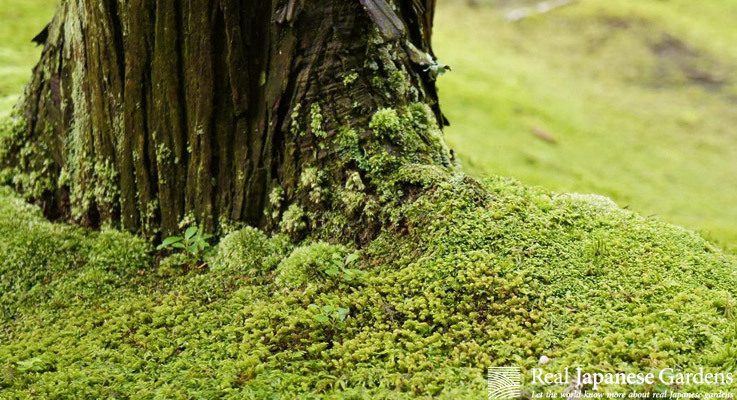 The reason moss grows on nearly every available surface is in its biological structure. If the air humidity is 80% or higher, the leaves are able to absorb humidity and nutrients directly from the air. So what looks like roots is actually the plant's holdfast. Moss prefers a nutrient-poor soil, too many nutrients can damage the plant. That is why it thrives in places where flowering plants have a hard time to survive. Moss is also an air cleaner. It absorbs pollutants like nitrates and ammonia. 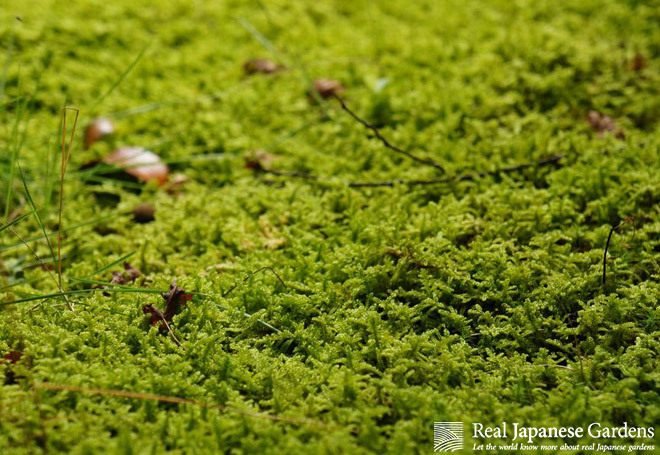 Although Japan has a long rain season, rain isn't actually necessary for moss to thrive. More important than the average annual rainfall is the air humidity. 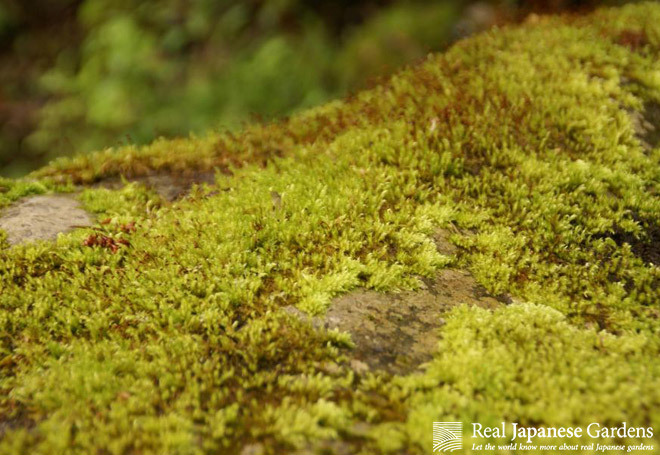 And even without rain, moss can also survive periods of drought. Although the leaves may seem dead, the plant is still alive and the leaves will return to their green color after watering. Watch the Moss trailer here. 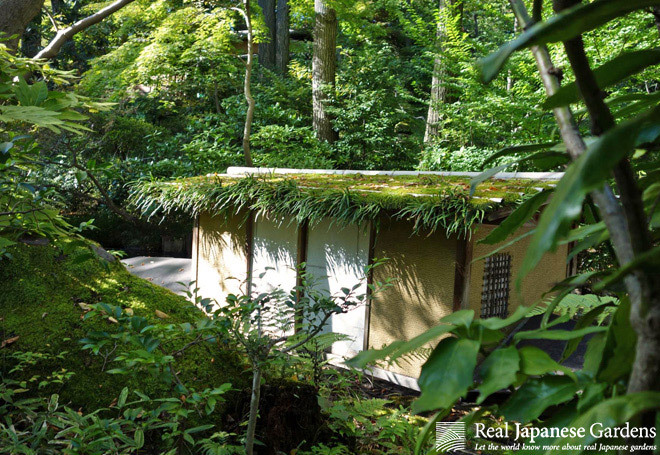 RJG presents: Moss in the Japanese garden from Real Japanese Gardens on Vimeo. Feb 28 2013 - Bamboo is one of the most amazing plants on our planet and the most versatile and sustainable material ever. It is an integral part of daily life in Japan and provides the material for many traditional Japanese crafts.